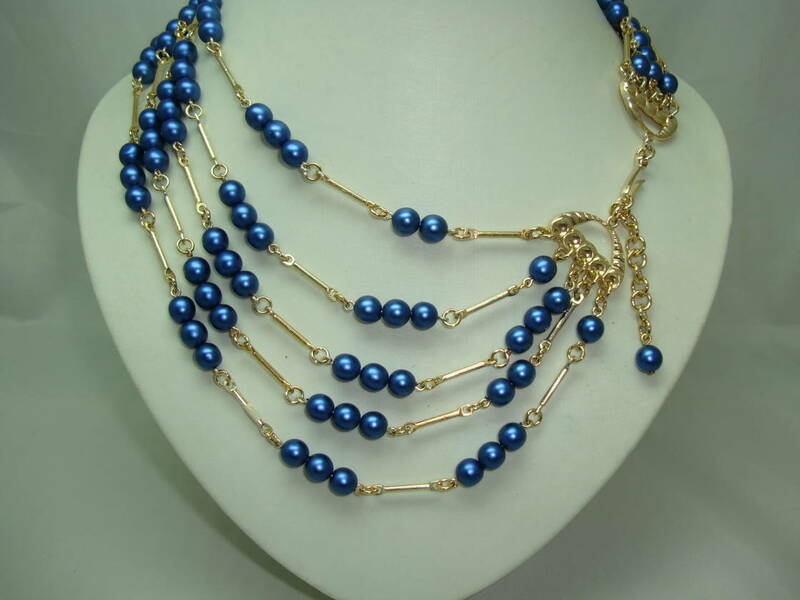 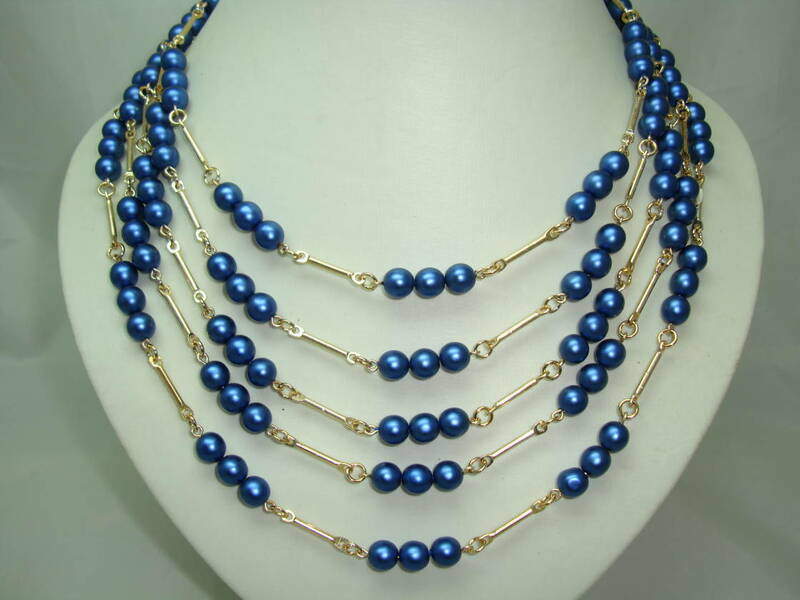 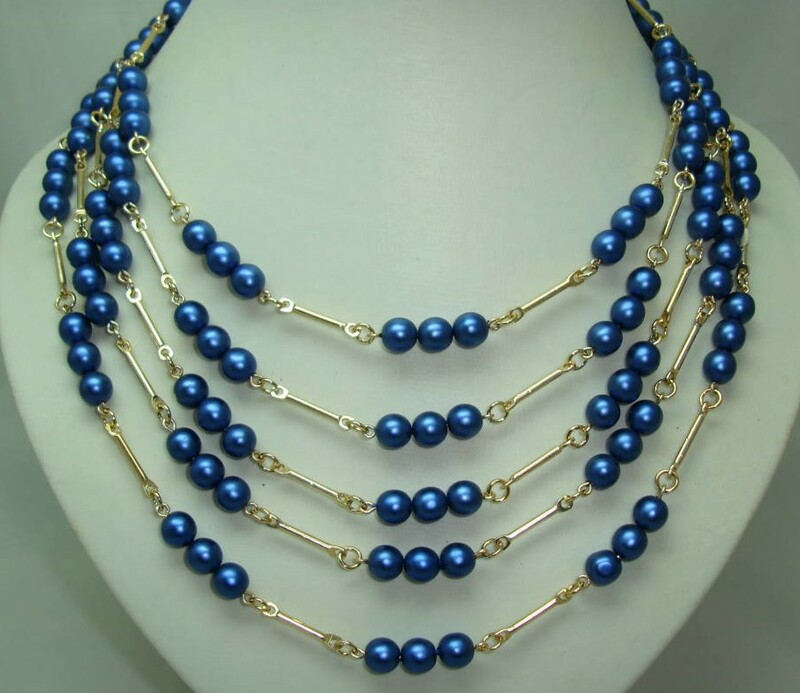 We are pleased to offer this beautiful vintage 1950s 5 row graduating blue glass faux pearl bead necklace with goldtone links interspersed into each strand. 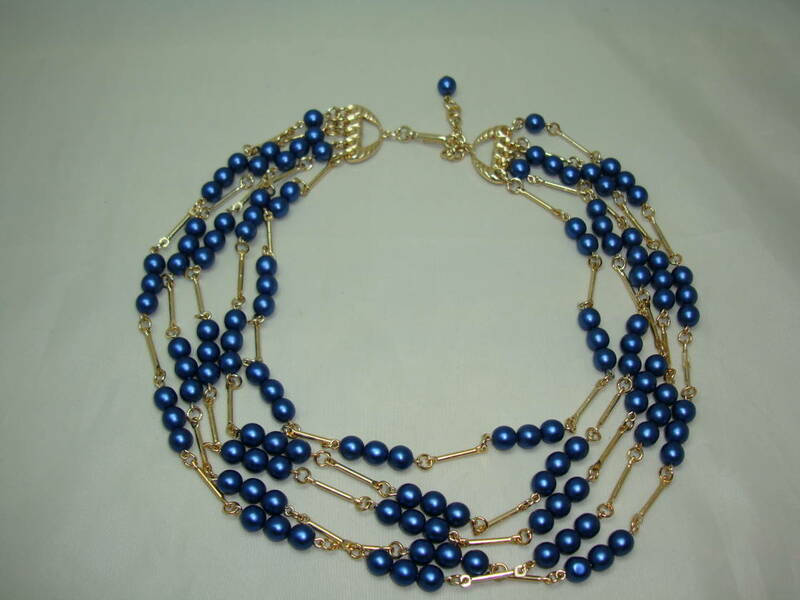 Excellent vintage condition, great quality and weight to this one, fabulous blue shade, a real stunner! 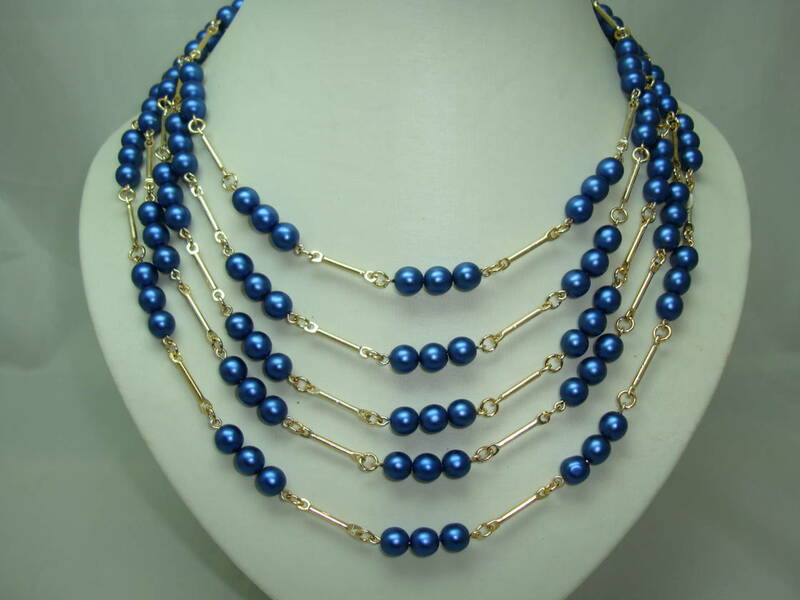 Comes with 1 1/2" extender chain for extra length.